Polka dots are fun. I now have 7 shirts with dots. 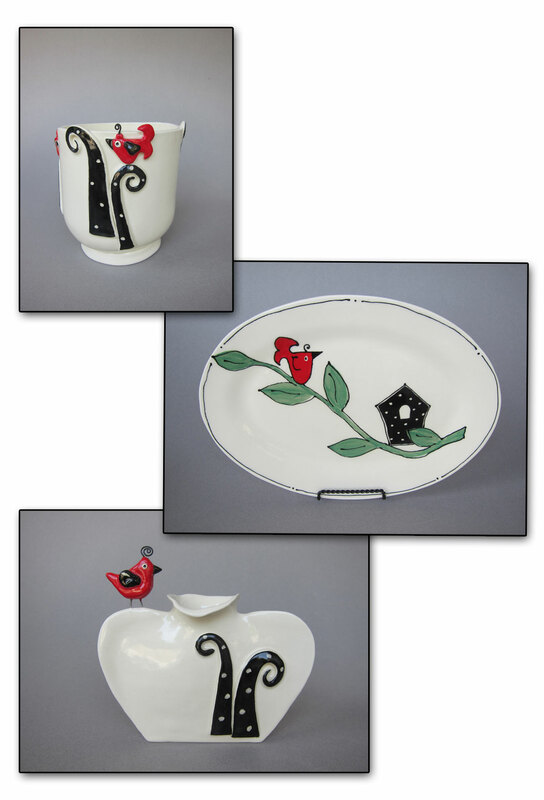 Over the years my whimsical ceramic birds have loved books, shoes, flowers and hearts. 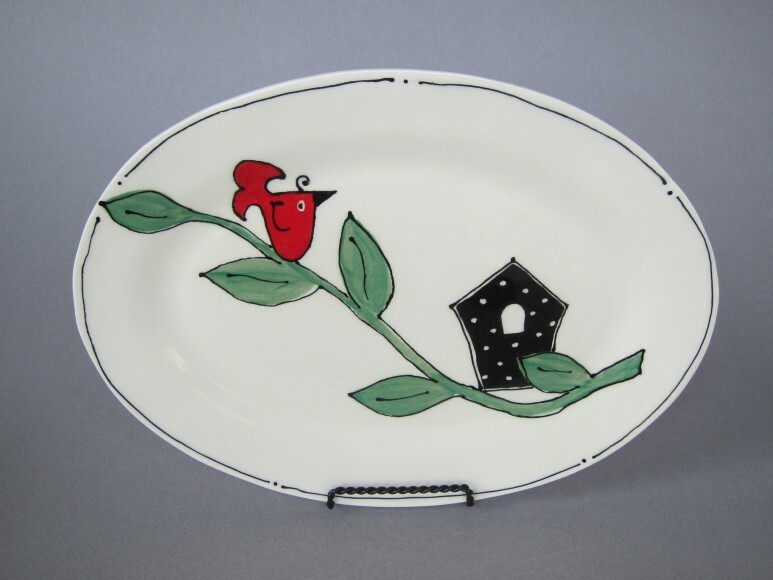 This show features my white vases and dishes with colorful images of silly birds combined with highlights of black and white dots. I am a hand-builder and form all the pieces from flat thin slabs of clay. The clay pieces are fired to over 2000 degrees. For the month of August my show will be featured on a fun red wall in the front gallery at Ashland Art Works. I have recently discovered how to cut sheet metal with a plasma torch, so I will also be creating a grouping of metal flowers. These black metal flowers with white polka dots will look most striking on the red wall, too. Wear your polka dots and come enjoy this show. 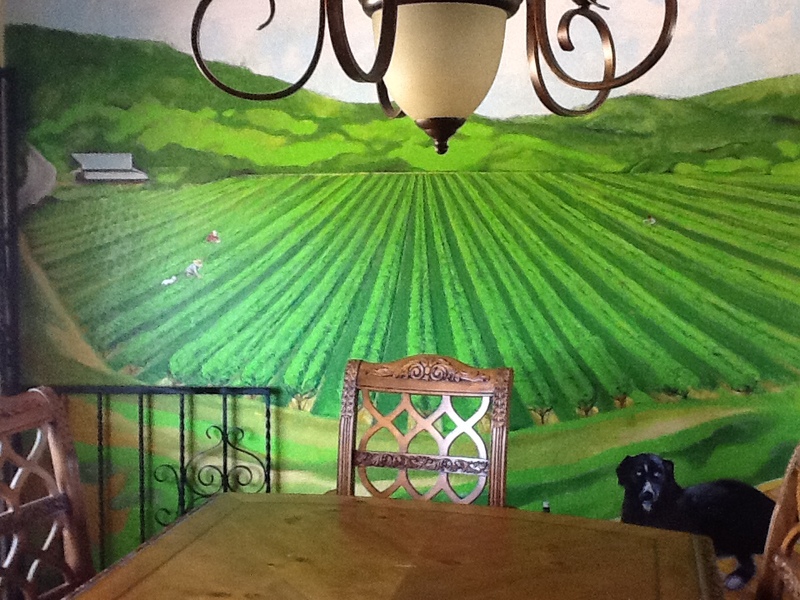 A recently finished mural at the Aurora Vine Winery Led to the inspiration for this collection of impressions of local vineyards in the Rogue Valley.